Autism Awareness, Endrew F. Ruling, and Technical Assistance Galore! On March 22, 2017 the U.S. Supreme Court issued a unanimous decision on Endrew F. v. Douglas County School District Re-1, a case involving the Individuals with Disabilities Education Act (IDEA). 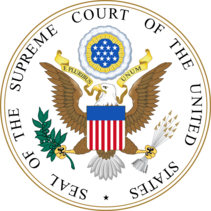 In this decision, the Supreme Court clarified the scope of the free appropriate public education requirements in the IDEA and held that, to meet its substantive obligation under the IDEA, a school must offer an Individualized Education Program (IEP) reasonably calculated to enable a child to make progress appropriate in light of the child’s circumstances. Secretary DeVos applauds this decision, and has asked the Office of Special Education and Rehabilitative Services (OSERS) to reach out to states and districts to identify promising practices for developing and implementing IEPs that enable children to meet challenging objectives. Look for a post on the OSERS Blog in the near future! It has been a busy month for us here at OSEP! Our staff, myself included, has attended many events where we've had the opportunity to collaborate with our partners in the field. We're also celebrating Autism Awareness Month! Check out some of the resources, highlighted below, related to autism. This month I attended the Council of State Administrators of Vocational Rehabilitation 2017 Spring Conference, which hosted around 300 state vocational rehabilitation administrators and staff. OSERS, including OSEP and Rehabilitation Services Administration (RSA) staff, (1) addressed the collaboration between the vocational rehabilitation (VR) program and special education, (2) addressed the vast amount of joint technical assistance (TA) and guidance developed and provided by the joint Workforce Innovation and Opportunity Act partners, which includes RSA's program-specific TA and guidance, and (3) rolled out the OSERS VR monitoring and TA efforts planned for the remainder of this fiscal year. OSERS looks forward to continuing this partnership to serve students transitioning from secondary school to postsecondary education, employment, and the community. The Council for Exceptional Children 2017 Convention was also a huge success. I led two sessions. One provided attendees with an update on all the great work OSEP is doing for students with disabilities. The second session addressed (1) the implementation of the Every Student Succeeds Act (ESSA) and IDEA, (2) how provisions in ESSA support the needs of all students, and (3) how to leverage resources and align efforts across programs. Thanks go to my OSEP colleagues Renee Bradley, Larry Wexler, and Grace Zamora Duran, who also led fantastic sessions. It was great to see so many dedicated teachers and leaders at the conference this year! Don't forget to join us for the final session in our 2017 Virtual Symposia Series, "Displaying Our Data - Conveying Our Stories," on May 17. Preliminary materials can be found on the Virtual Symposia Series webpage. Finally, registration is now open for the OSEP Leadership Conference, which will be held July 17–19, 2017 in Arlington, Virginia. Hope to see you there! Office of Special Education Programs-funded project Autism Focused Intervention Resources and Modules (AFIRM) has developed modules that are designed to help practitioners learn the step-by-step process of planning for, using, and monitoring evidence-based practices with learners who have autism spectrum disorder, from birth to age 22. Supplemental materials and handouts are available on the AFIRM website, in addition to an explanation of the modules. We're excited to share resources this month, which provide information on (1) allowing for and encouraging partnerships across programs, and (2) bridging the divides among policymakers; state and local education agencies; and families, educators, and practitioners in the field. Check out the efforts and new resources for enhancing partnerships in early learning! OSEP participated in the Leadership Transition Meeting in Sacramento, California, which took place April 18–19. The meeting included representatives from the IDEA-Infant-Toddler Coordinators Association, OSEP-funded TA centers, and Part C coordinators. Participants engaged in discussions about the TA needs of Part C coordinators, and worked collaboratively to identify resources and products that could be used to increase the knowledge and skills of new coordinators and lead agency staff. Engaging Families and Creating Trusting Partnerships to Improve Child and Family Outcomes is an ongoing interactive web broadcast series jointly facilitated by the OSEP-funded centers ECTA (Early Childhood Technical Assistance Center) and DaSy (IDEA Early Childhood Data Systems Center). The series aims to support early childhood leaders in building the capacity of personnel and families to develop trusting partnerships. Sessions 1 and 2, released in March and April, are now available. A new session will debut each month, and the series will run through June. Discussions will highlight the role that data play in strengthening family-professional partnerships, and provide resources for designing personnel and family development activities to support partnerships. Aligning and Integrating Family Engagement in Positive Behavioral Interventions and Supports: Concepts and Strategies for Families and Schools in Key Contexts. 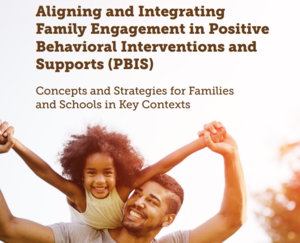 This e-book, published by the OSEP-funded Positive Behavioral Interventions & Supports (PBIS) Center, provides clear guidance for increasing family engagement in schools in the context of PBIS and multi-tiered systems of support. The e-book describes how to promote family engagement across student developmental levels from pre-K through high school, and addresses the unique needs of students at risk while emphasizing the critical theme of cultural competence. Voices of family members are prominent throughout the e-book, with family members providing ideas and guidance on each chapter. Significant Disproportionality Technical Assistance, Simplified. OSEP’s TA centers are ready and waiting to provide TA around the new significant disproportionality regulations. Taking the lead will be OSEP's IDEA Data Center (IDC). IDC is available to either directly address states' significant disproportionality TA needs, or to put states in touch with the TA center best situated to do so. Please reach out to your IDC Part B liaison, whom you can find here, or contact IDC by phone (888-819-7024) or email (ideadata@westat.com). Aligning ESSA and State Systemic Improvement Plans (SSIP). 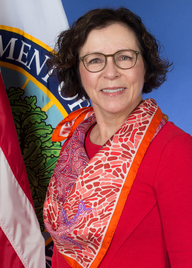 The NCSI (National Center for Systemic Improvement) and the CCSSO (Council of Chief State School Officers) have partnered to create a tool, which supports state agencies and their stakeholders, as they work to (1) develop state plans pursuant to ESSA, and (2) ensure that these plans lead to better outcomes for all students, including students with disabilities. The resource provides a set of prompts to deepen thinking about the ways a state’s ESSA plan can help to improve achievement and outcomes for students with disabilities by leveraging the work they have already accomplished through their SSIP. We've had the opportunity to highlight many stories from families who support a child with autism on the OSERS Blog. 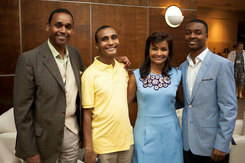 The Ballens (pictured right), in their blog post titled "When You Look, Make Sure You See," discuss the importance of inclusion at a young age. Kristina Hartsell, in "Adventures with Lucas," shares a light-hearted account of her family's journey. We're also excited to bring your attention to an older post from the OSERS Blog which highlights the resources available to students with autism on college campuses. Tips and tools shared in this post can be helpful to students of all ages with autism, and the students' families, who are seeking to advocate for themselves or their child.